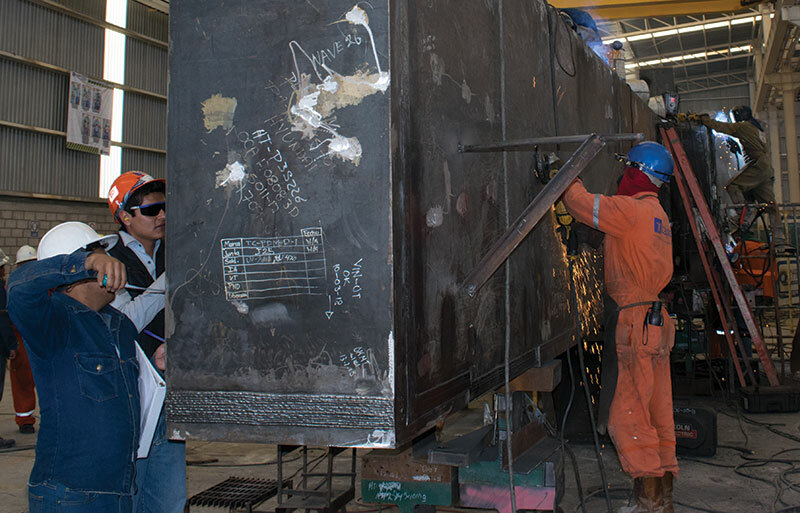 CONSTRUCCIONES INDUSTRIALES TAPIA S.A. DE C.V. 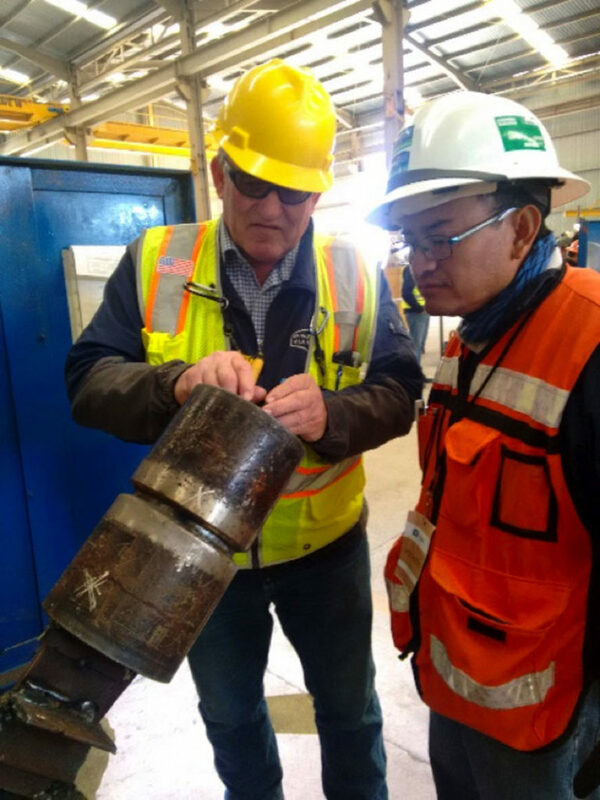 He obtained the certification in December 2017 by AISC (AMERICAN INSTITUTE OF STEEL CONSTRUCTION). 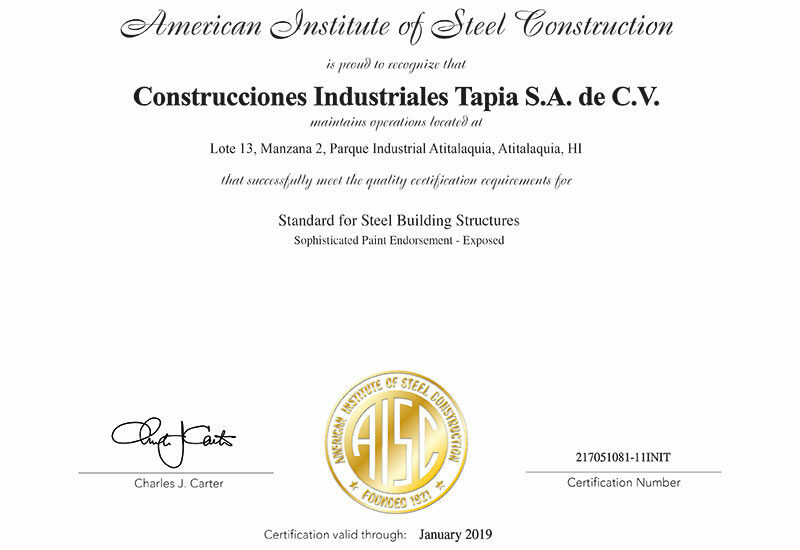 American organization with operation in Chicago since 1921, which establishes the highest quality standard for the structural steel industry and is part of the most recognized international quality certification programs for the industry. 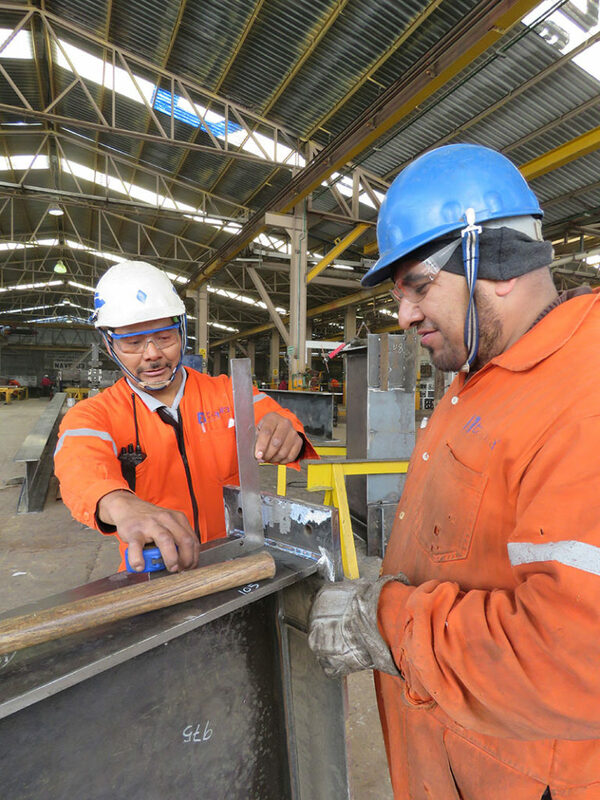 The main objective of the program is to build quality structures from the beginning, focusing on preventing errors instead of correcting errors. 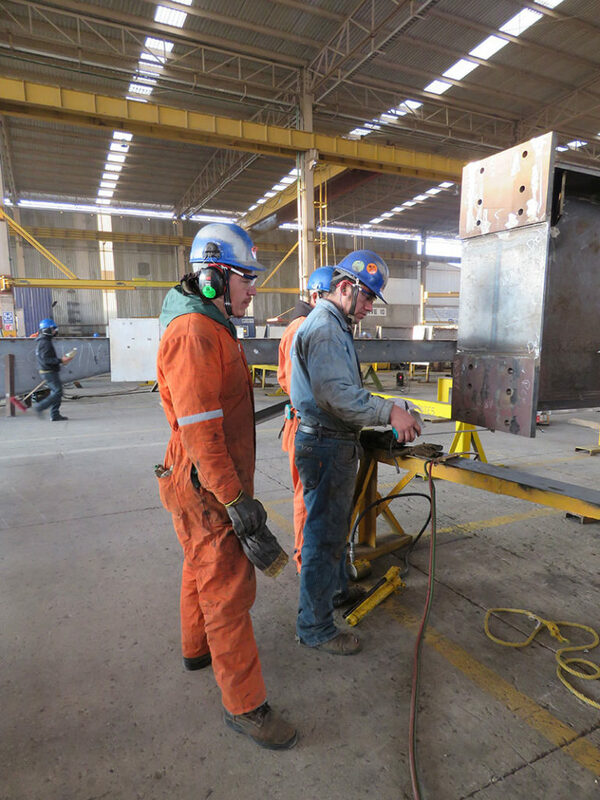 The certification obtained is as a manufacturer of steel structures (Standard for Steel Building Structures) and coating applicator (Sophisticated Paint Endorsement – Exposed), which will serve to expand the confidence of our customers and ensure our operation with the highest standards of quality. Subscribe Newsletter and boton too "subscribe"